This session takes you through support play, getting your players working together as a team and reacting well to continue the play. Many players think that their role in the play is over when they have passed on the ball, so it's time to take them out of that mindset, and get them supporting their team-mates! 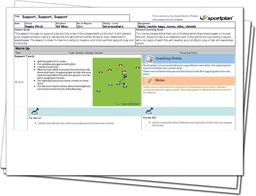 Start off with a game of Support Touch to get your players warmed up and fully focused for the session ahead. 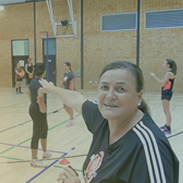 It's important that your team are communicating well throughout the session, as we go through a number of drills to get your players supporting one another. Get them anticipating the opposition and looking for weaknesses, as we continue looking at the support play your team should providing one another, giving the ball carrier an extra option. Make sure your players don't just stand still after moving the ball on - get them supporting their team-mates!